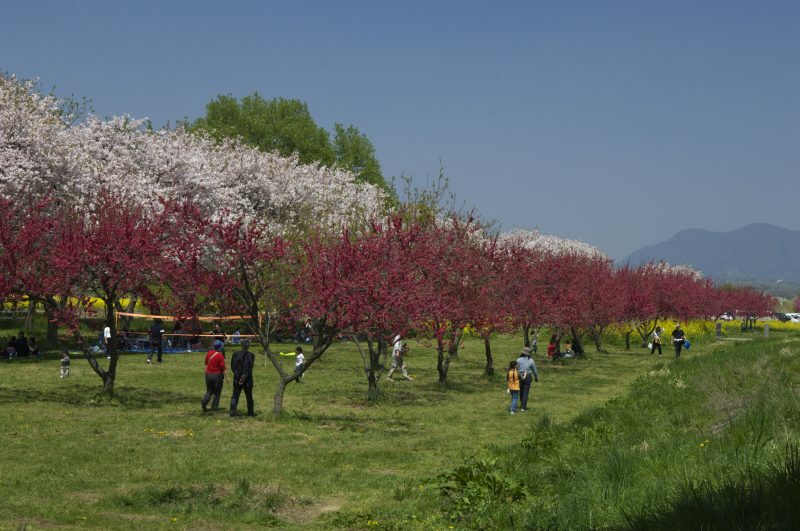 With 600 yaezakura cherry trees standing along a four-kilometer stretch of the embankment along the Chikuma River, this is a great spot to enjoy Obuse’s spring scenery. 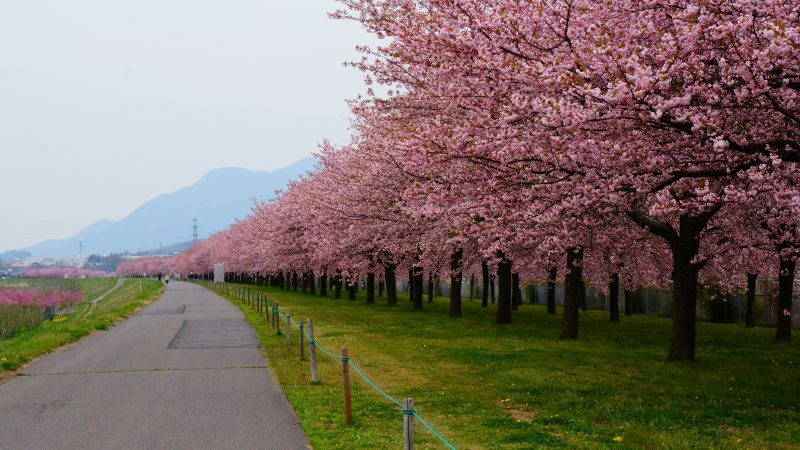 Yaezakura have gorgeous blossoms with multi-layered petals that draw people from far and wide. 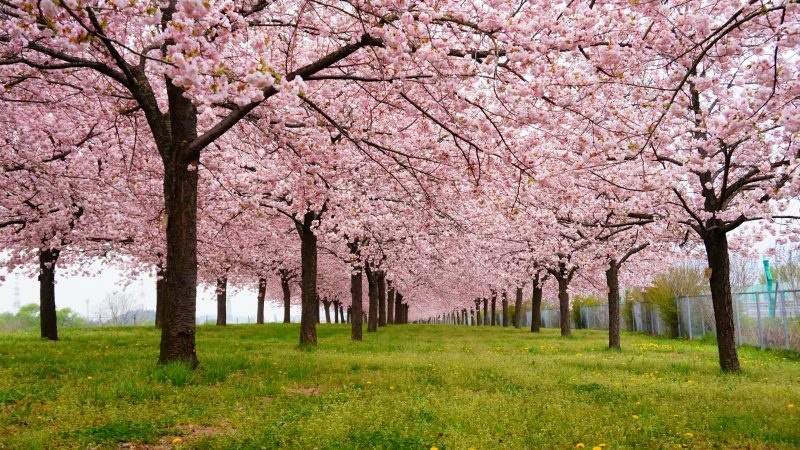 Some people even get off the expressway, which runs parallel to the embankment, just to view the blossoms. 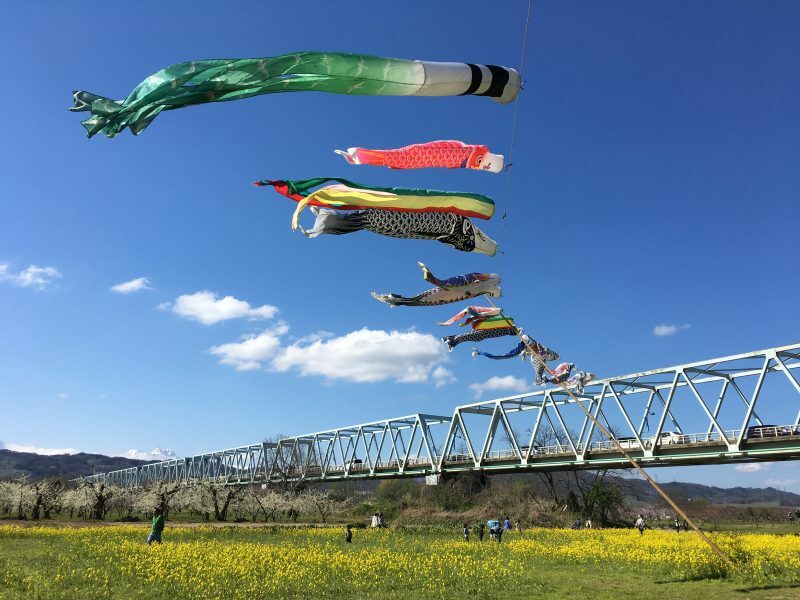 At this time of year, the landscape also includes the peach and yellow flowering mustard blossoms at Fureai Park as well as mountains with lingering snow off in the distance in a panorama characteristic of the Kitashinano region.